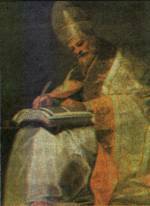 Gregory is certainly one of the most notable figures in Ecclesiastical History. He has exercised in many respects a momentous influence on the doctrine, the organization, and the discipline of the Catholic Church. To him we must look for an explanation of the religious situation of the Middle Ages; indeed, if no account were taken of his work, the evolution of the form of medieval Christianity would be almost inexplicable. And further, in so far as the modern Catholic system is a legitimate development of medieval Catholicism, of this too Gregory may not unreasonably be termed the Father. 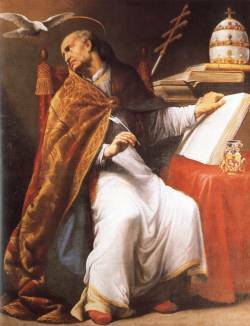 Almost all the leading principles of the later Catholicism are found, at any rate in germ, in Gregory the Great. (F.H. Dudden, "Gregory the Great", 1, p. v). Also known as Pope St. Gregory I.